Thank you to the many Mystic Midway supporters and community who made last Sunday's Midsummer Fairy Revels a magical success! 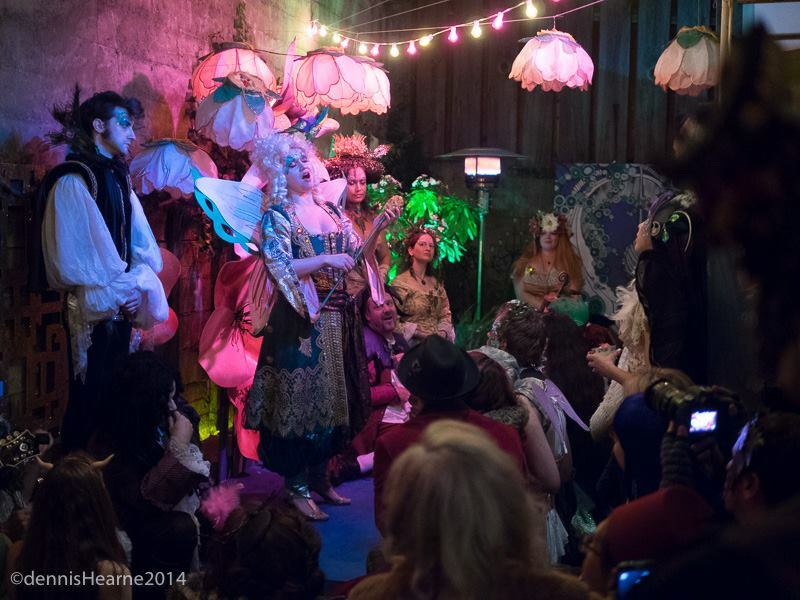 This intimate garden party for 70 costumed guests wove a spell of enchantment with live entertainment, ‘Fairyland’ themed strolling characters, interactive Salon parlor games, sumptuous Fairyland décor, live operatic excerpts from NORMA and more! A magical experience for everyone! THANK YOU to our Tech Sponsor METAIO for the web dev kit that enabled to bring our Midway cards and posters to life! My love for participating in story-rich environments started when I was young. The strange and wonderful worlds presented by role-playing games provided a welcome sanctuary to anyone incompatible with the competitive horrors of high school. Gathered with friends around basement tables on any given night, we lived to game- trying our best to ignore the ridicule forced upon us by lanky jocks and ‘cool kids’. We were the Champions of our own Destiny, our imaginations providing us with endless adventure and evenings of camaraderie never forgotten. A desire for adventure was our campfire and Story, the vehicle which carried us. Before you feel sorry for us, i’ll tell you now-our games were the stuff of legend, adventures which often spilled over into the REAL world. Once, together with a fraternity of game-playing nerds, one such adventure climaxed with a full scale replica of an Egyptian Mummy we made complete with canopic jars (what else would you make in pottery class?) finding his rightful place in our Santa Cruz High School football trophy case *mysteriously* in the dead of night. Role-playing games generate a vibrant social space based on of their potent blend of collaborative storytelling, rich narrative, improv, complex problem solving, archetypal role-play -the list goes on. For over 25 years now, i have woven much of what i learned from those days, into crafting social experiences that invite meaningful play, worlds of connection and exploration. I’ve never stopped exploring and experimenting with creating participatory, story-rich social spaces: community social outings, tea parties, experimental theater, Cosplay, ensemble road trips, mythic adventures, hundreds of various themed parties and now, THE MYSTIC MIDWAY. Each of these social canvasses i’ve created over the years has taught me something, pointed to one element in common- the value in giving each participant permission to craft their own narrative within the collective context, in finding their role in ‘The Play’. Just as it is with role-playing games, The Midway gives everyone permission, through play, to step further into both their story AND the collective story. Permission affords us a powerful agency, keys to kingdoms untold. As a kid who never fully grew up, i think at some point i just stopped drawing a line between ‘real’ and ‘make-believe’. The older i get, the more i devote myself to giving everyone the means to craft amazing experiences. With the upcoming Mystic MIdway outing at the AWE Technology Conference, i am excited to integrate some new tech into our show. I gladly embrace new technology for the permission it grants us in accessing our innate sense of wonder and rewarding imaginative inquiry. If kids can ‘just pretend’ and make something so, then why can’t we? If you were given the permission and means to create and then step into any story you wish,and what would it be? In the underground Mystic Midway workshop we are perfecting the WONDER AIRSHIP DEUX! Witness the decreased weight and increased power! Cheers and welcome! May the hammer of the Dark Harlequin be ever gentle to your tender heart.